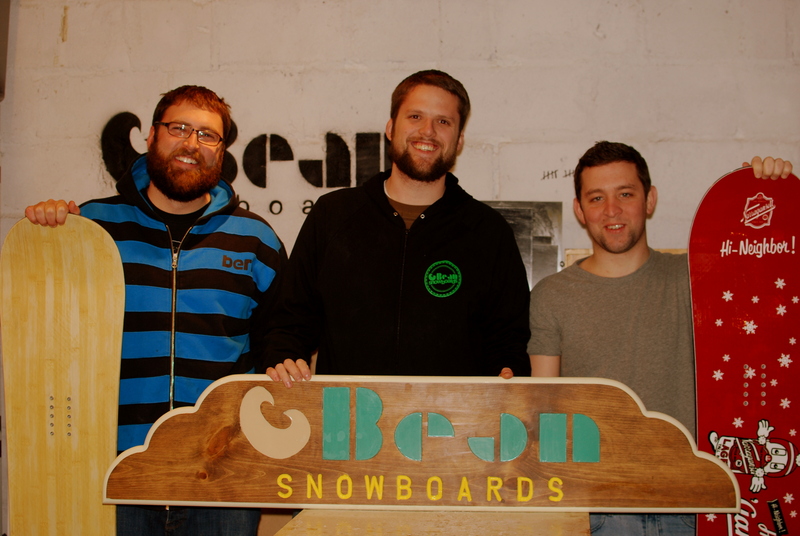 Last week I had a chance to head down to Boston and talk with Bean Snowboards. To be completely honest I thought they were a medium sized company, full of marketing people, designers, and maybe an engineer or two. In my head I was envisioning some shop type thing setup somewhere in Boston, and a bunch of super hip snowboarders who talk the talk (and always make me feel like a nerd) and kind of sort of make snowboards here, you know at least prototype them in the US. Oh, man. I couldn’t have been more wrong. It turns out I was wrong in all the good ways. As I was driving through Brighton (Boston is made up of a lot of little suburbs), I started wondering where I was actually going. Brighton is pretty residential and as I pulled up into a dead end street, I knew Bean had to be different. I mean, seriously – any company that calls it’s HQ a garage out behind a house but makes snowboards there that rival the finest I’ve ever seen, they must be doing something right. So after figuring out that I truly was in the right place (Collin, one of the owners did say ‘Garage behind the house’), I started down the driveway. Now, for fellow techies, engineers, and those who come from nerd families – you know a good garage or basement workshop when you see one. It’s just in our blood, so when my eyes finally laid sight on the Bean Snowboards HQ, it was like waking up to find a powder day. 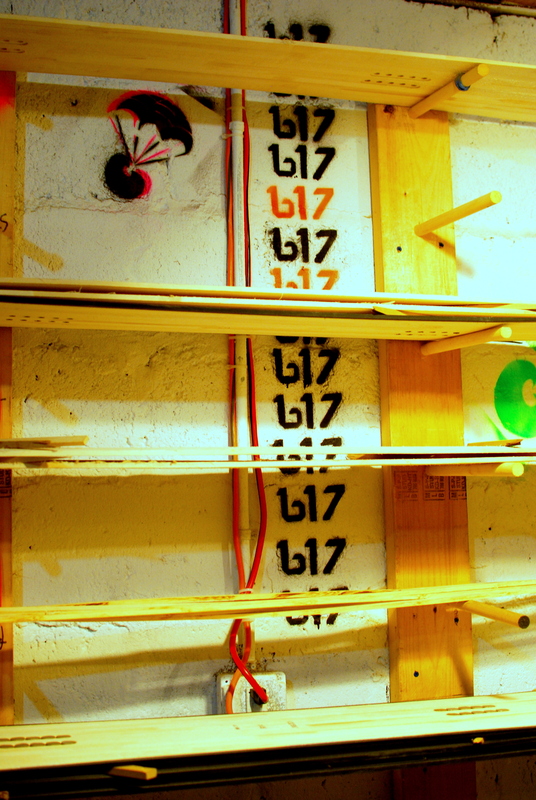 Seriously, a snowboard making garage workshop? Stoked, to say the least. I was quickly greeted by Collin Murray, mechanical engineer, Northeastern University graduate, and as I would later learn one of the masterminds behind the original Bean Snowboard. With him was Mike McGraw, another of the crazed masterminds, also a mechanical engineer and Northeastern graduate. A little later Warren Huffman, Bean Snowboards intern, showed up with beer for everyone. Aren’t interns awesome? After assuring Collin and Mike that I was really all right with standing in an unheated garage for the next hour since I was intending to snowboard all winter after all, we jumped right into questions and answers. And let it be noted, whoever said engineers were quiet, anti-social, and all that other awesome stuff must have just been talking to the wrong engineers. So, how did Bean start? I (Collin) was looking for a new snowboard and the technology stuff was so marketing driven. Every year it’s all made to look brand new and space age. 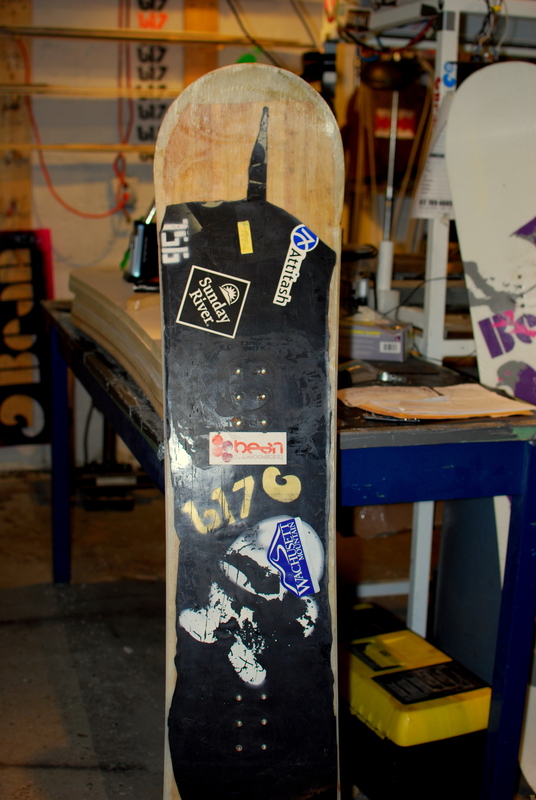 I figured it couldn’t be too complicated to make a snowboard. So Mike and I got together and took a look at some DIY websites about how to get started. We made our first snowboard without knowing where to get materials or really what we were doing, but it actually came out decently well. And then we rode and it actually rode pretty good! So then we built another two and they just kept coming out better and better. We figured the next step was to move on and build a press and get our design friend, Scott involved for branding. We weren’t planning on selling them right away, so that part would come a few years later. At the same time, we were also wondering why it seemed like there wasn’t anyone local making snowboards. There are companies like Burton, but at this point they’re so big it’s not really local anymore since the manufacturing isn’t here. Like out West, you’ll find areas represented by a small surfboard maker, but there wasn’t anything like that out here. How does a board go from idea to reality around here? Not with out a lot of debate! We (the three engineers and an intern) start with sitting around and brainstorming. We all work as engineers, so it’s kind of the same process as it would be at work, but less restricted. The physical design and shape of the board evolved since the very first one. The first version we made 30 of and sent them out all over to people in the industry that we knew would be able to give us feedback on our designs and materials. So anyone that was like, ‘I ride 60 days a year’, we’d send them a board. We wanted to know where and how they would fall apart. But none of them fell apart, and all we got was suggestions and minor issues. The boards held together as well as any other board would. From that feedback, we made some changes to the board to make it more freestyle. Since we really liked that shape, that’s what we’ve stuck with since then. Graphically, it’s more complex. As engineers, we can usually agree and be like ‘Nah, this doesn’t make sense. Here’s why it doesn’t make sense.’ But when it comes to the art, it’s painful bickering and lots of revisions. We can’t do Illustrator, so it’s on designers to take our ideas and sketches and make them look finished. It’s a lot of them showing us stuff and we’re like ‘Hmm…’ It’s a process. We’re at the point that no one takes it personally, so it’s cool. Note from Jillian: The Bean guys did an awesome job of explaining the ENTIRE process of making a snowboard, from start to finish but it’s very much video worthy instead of word worthy. I’m hoping to return once their back in building season again and get something great put together! How do your materials differ from a large manufacturer? The materials aren’t leaps and bounds different than the big manufacturers, but we do try to make our boards specific to East coast riding. We have a pretty aggressive side cut on all boards for riding on ice with a center stance so it’s easy to ride switch. We also have a full wood core, so you don’t see a nose or tail breaking. We really try to make everything for East coast riding and as high quality as we can. Materials come from as local as we can get them. We actually used to make the cores ourselves, and then we had a cabinetmaker in Chicopee, Massachusetts making them, but when we went back one year he went out of business. So now they’re made just over the border in Canada. Graphics are printed there too and all of our Bean clothing is printed locally by American Apparel. 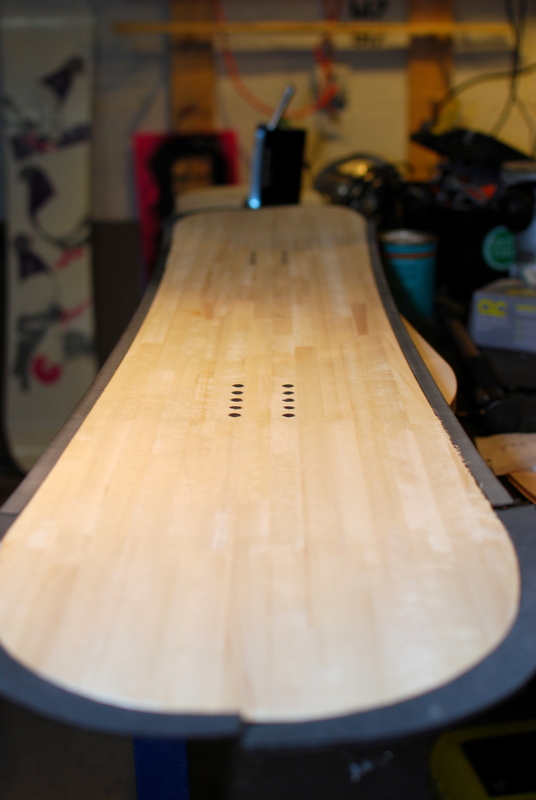 Every board is waxed with Green Wax, which is petroleum and PFC free. It’s made in Massachusetts too. We try to keep everything pretty US driven. What size boards do you make and why? The shortest board we make is a 146 and that’s The District. It’s made for anyone who wants or needs a smaller board. While it’s not a women specific board, it will probably become available as a women’s board next year. We don’t have a lot of boards yet, so we try to spread it around and make the boards for as many people as possible. No kid is going to want to buy a women’s board and no woman is going to want to buy a kid’s board. 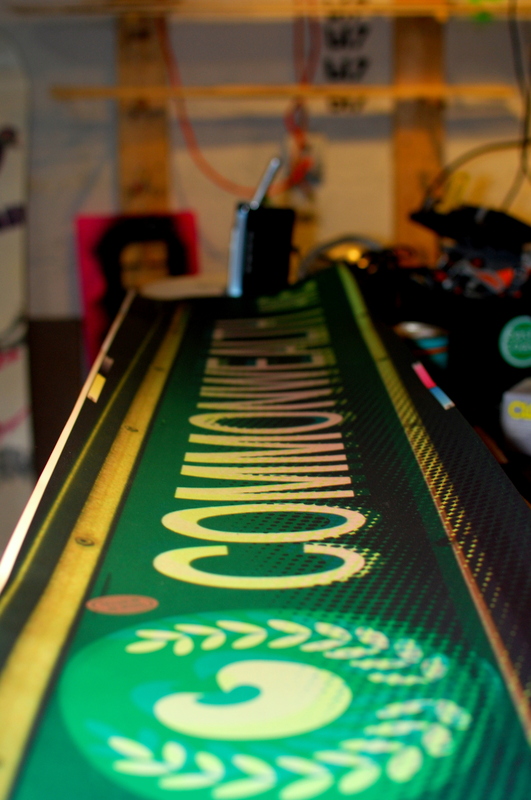 The longest board is a 161 and that’s the Commonwealth, which is more of an all-mountain board. We recommend riding shorter boards just because around here if you’re jumping in and off the trails and even in the park, you’ll want something shorter. Scott does all the graphic designing since he’s a graphic designer by trade. We engineers just offer input. We come up with ideas, but he usually comes up with the ideas that actually make it on to the boards. They have all generally been Boston driven, with the exception of this year when we took a little break from it. The names are all Boston inspired, so the Violator was originally inspired by parking tickets and then became parking cones, parking signs, various pests, and this year it’s corporate violations. The Commonwealth is supposed to be more of an all-mountain board, so it’s supposed to be more of a “common man” type of theme. The name has a theme, and the theme drives the concept. Most of you are mechanical engineers. How does that help with the design of snowboards? 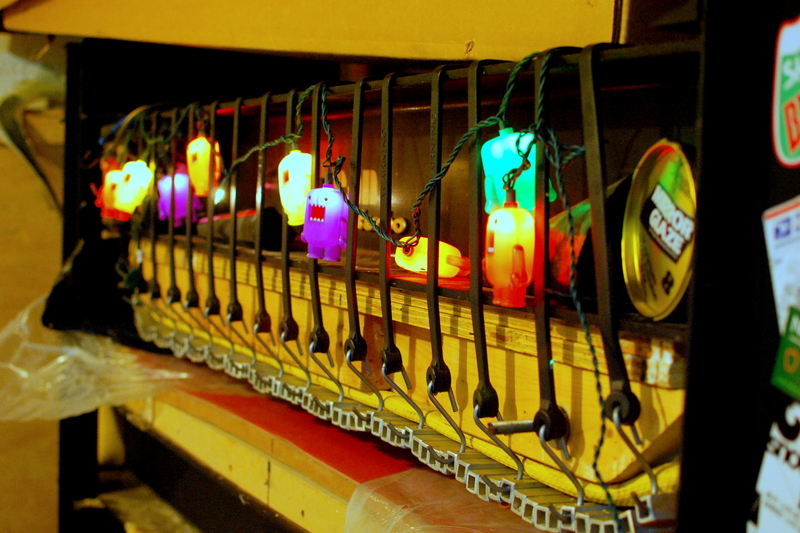 We’re meticulous about making stuff more efficient and improving the mechanical side of things. We’re not all about making it look cooler, newest design. We try to work out the technology. We kind of suffer from it a little bit because we don’t just jump on the latest trends because we sit down and hash out stuff from a technical perspective. While the latest and greatest might sound cool from a marketing perspective, does it really make sense? When you go to some of the larger companies and look at their boards, something from 12 years ago will look the same as the board they’re selling now. But if you look at the marketing side of it, they demand that there has to be something “new” every year. Why does there have to be something new every year? With us, there will be something new when we think of something brilliant. We’re not on a schedule. Also from working in manufacturing and R&D, we’ve learnt that whatever you think can’t go wrong, will go wrong. We don’t always know what’s going to happen, so as engineers we do a lot more testing to avoid big issues in the end. In the end, it really just makes for a better quality board. So far, we’ve had one board break (300 pound guy in the park on a little board) and one issue we caught before the rider even got a chance to use their snowboard. 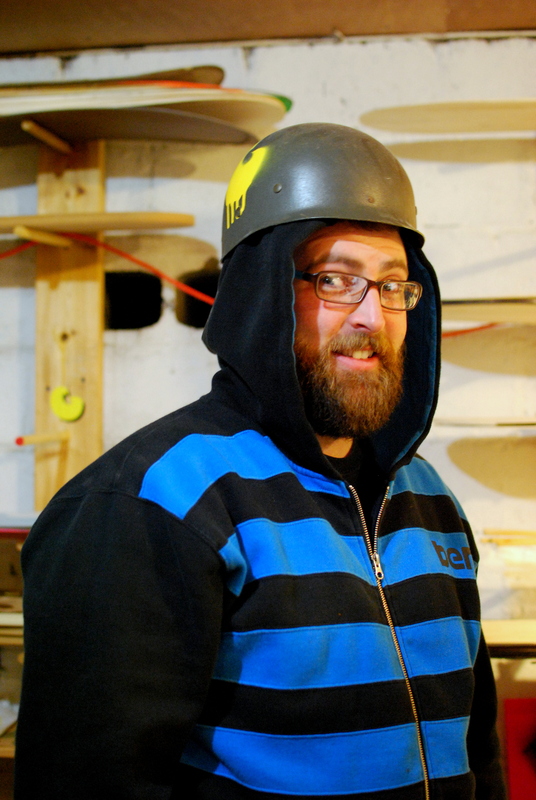 In addition to designing and making Bean Snowboards, you all hold full time jobs too. How do you balance that? Ask our girlfriends… we don’t. It comes in waves though. Right now we’re working on next years graphics. The big push comes in the summer and fall when we’re trying to build everything for the winter. We’ll have a month or so that we’re here every day and really late, but it’s just one of those things that you put you head down, and when it’s over you’re just like what the heck happened? Do you have any advice to other entrepreneurs in the outdoor industry? It’s hard and takes a lot of time to pick up steam, but it’s a fun industry. It’s also a really saturated market too, so if you want to be part of it, make sure you differentiate yourself. Don’t be yet another person having someone makes stuff for you, and you’re selling it. Also, surround yourself with the right friends and supporters. The wrong group can make your life and business a mess. It wouldn’t be a Tenders & Trails interview without the usual questions, so here it goes. Skiers or snowboarders? Didn’t even ask. What do you think? Sadly the guys could not agree at all on chicken tenders, but said to ask them about burgers since they at one point had a spreadsheet rating burgers they had tried. I need that spreadsheet! There was some mutual agreement that Wing-It in Brookline, Massachusetts was pretty good, and so was Charlie’s on Newbury. Guess I’ll need to check those out! A huge thanks to Bean Snowboards for being part of my adventure. Next season when they plan to release a 142 design, I will be swapping over to a Bean Snowboard. Why? Well, as the guys explained – we live in a culture where everything is thought (and usually designed) to be disposable. 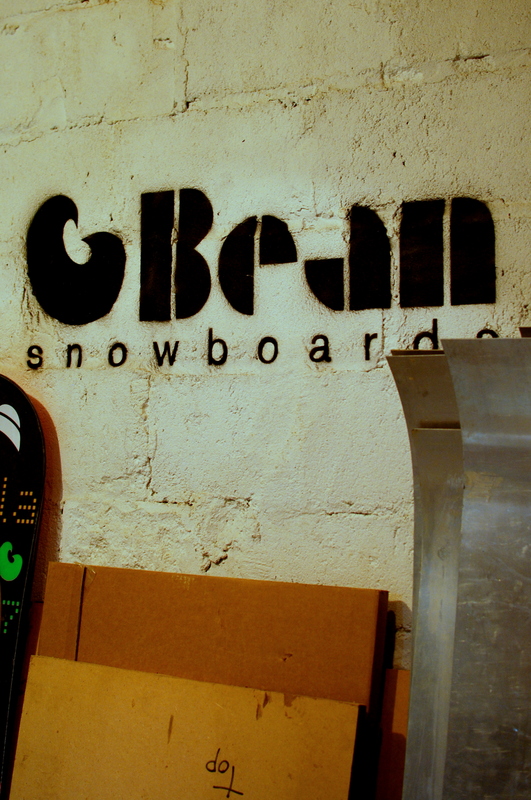 Bean Snowboards aren’t disposable. They’re made to last, and besides like their company motto says: ‘Buy local, Shred Local’. I think I can do that. Hey Phil – The guys at Bean don’t read the comments on this interview (or at least not that I know of), so you’ll want to reach out to them at http://beansnowboarding.com/contact/. They’re a pretty awesome group of dudes so I’m sure they’ll be willing to send some knowledge your way.